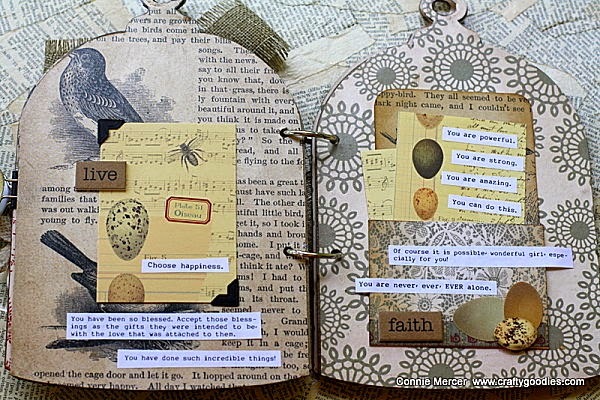 crafty goodies: Bird Cage mini album~Clear Scraps! 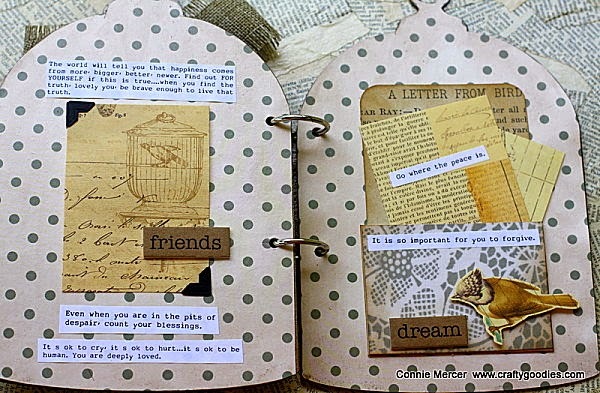 ( always is, right):) I have collected saying, words, special thoughts to put them in a special book. This project was perfect for that. Favorite mini, favorite paper and favorite embellishments!!! ( JBS/Wren) and the front and back cover I sealed with matte sealer. I clipped the front cover and the first page together, so the pattern paper would show through. On the front cover I clustered embellishments, using my favorite things and colors. 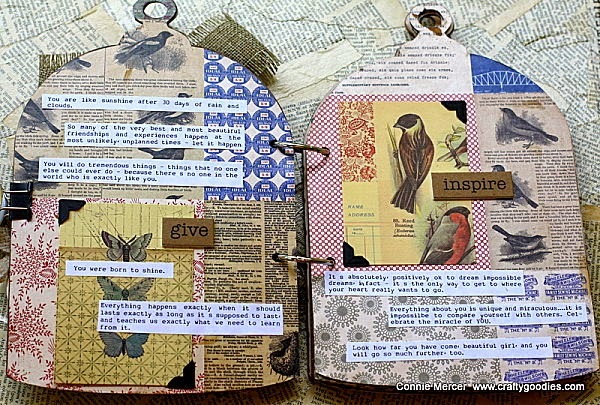 I added a couple library card envelopes (Curtsey Boutique) to several pages. As I collect saying I will have a place to stick them in. I used Beacon/ Fast Finish Decoupage and 3-in-1 for adhering the embellishments to the front cover. (we are on baby watch :):) , any day!!! ooooo so love it. you are sooo talented in the vintage. This is gorgeous! I loveeeeeeeeee the papers you used and the burlap!! And YAY for BABY #6!!!!! Beautiful book, Connie! Both inside and out! Gorgeous! Wow! This is super gorgeous! 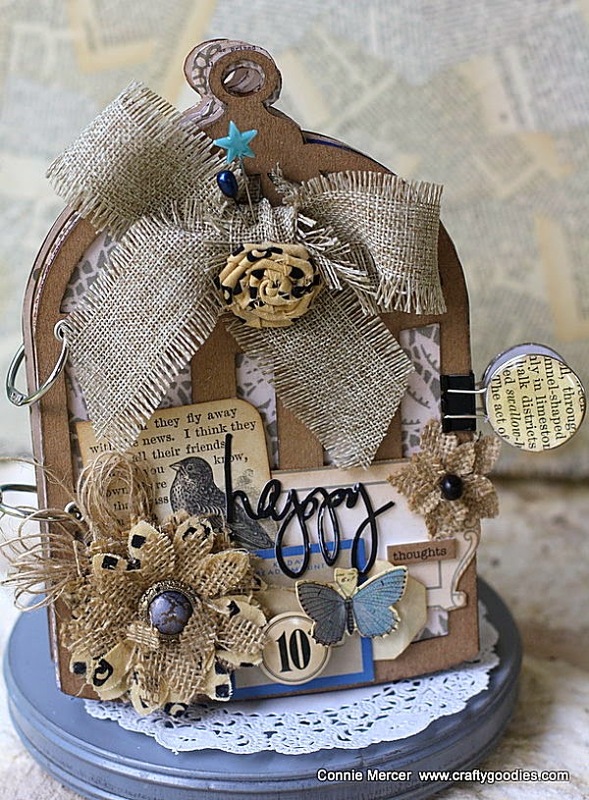 Love the burlap!